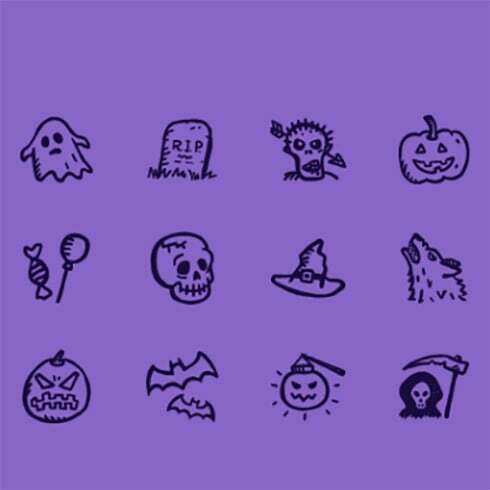 Spooky Icons Free is a set of 12 hand-drawn free Halloween icons. It includes icons of: ghost, grave, zombie head, Jack-O’-Lantern, candy, skull, magic hat, werewolf, spooky pumpkin, bats, glowing Jack-O’-Lantern and the Grim Reaper! The icons are available as AI, EPS, PSD and PNG (in 4 sizes: 32×32, 48×48, 64×64, 128×128) and released under the Creative Commons Attribution license. You are free to use them in your personal as well as commercial projects. This means you may use it for any purpose, and make any changes you like. All we ask is that you include a link back to this page in your credits. 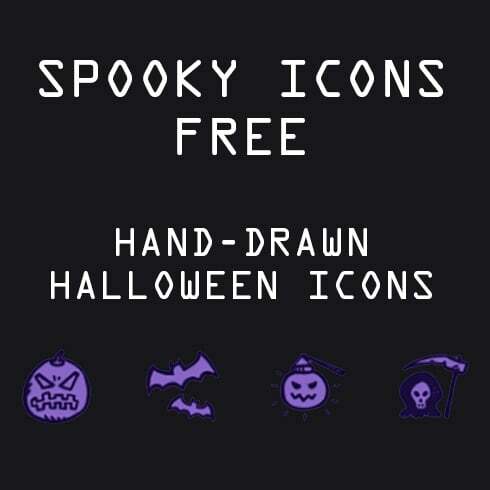 Just what is a Spooky Icons Free — Hand-Drawn Halloween Icons deal? Each and every pro designer, as a trained professional, surely can draw any graphic from the begining. It really is unproductive, takes too much unnecessary time. That is why many of the web designers make use of ready-made graphics elements – mix them, modify them and put together the design with their help. It is actually ineffective to buy these parts as a stand alone, that is precisely why they are put into graphic packages and offered for sale as a single solution. The collections of elements gathered into a graphics bundle are often categorized based on their main objective and type. There will probably be packages with business card templates, icons and wedding invitation templates, etc. On top of that, you may also manage to find graphic deals especially for Halloween, St. Valentine’s Day or Christmas. Why are graphic deals cost-effective? For a single design job, you will require a lot of components – a few pictures, a font, just a few icons, and so on. In case you would want to shop for every one of them on an individual basis it can cost you a fortune! So, that’s why expert web designers always look for graphic bundles to purchase. The bundles of stock photos, patterns, logo templates, icons, fonts and textures are out there for your use. On top of that, you may find the full offers of WP themes, training and ebooks, resume templates, slides, and various other components. The graphic designers who choose to use photos are going to be notably happy about the photo overlays graphic offers. They incorporate collections of design elements used to decorate and modify the photographs. Such type of decorative components is frequently placed across the images to create some fresh and interesting look. The definition of a watercolor graphics bundle? The watercolor graphics package deal can be described as a bundle containing pics and illustrations painted with watercolors. They’ll properly come in handy for a variety of companies, such as food distributors, fashion and perfume. Cards or wedding stationery is also made using this package. Define an Instagram design template? In the online and digital era, we commit virtually half of our everyday life within social networks such as Instagram. It doesn’t matter what objective we strive to reach on this platform, we would like to get noticed in a crowd amid a large number of alike accounts. The good news is, with premium Instagram design templates offered by MasterBundles.com, you won’t need to devote eternity while creating the outstanding look of your Instagram page. One of the package deals will surely let you emphasize the visual look of your Instagram page. Articles on websites which have infographics tend to be more legible and trendy than those that don’t. Infographics are a fairly well known item every designer is required to be qualified to set up. A package for infographics is most effective because it offers an almost ready-made solution. The web designer just has to mix the illustrations and there you are! MasterBundles.com is a marketplace that accumulates top deals from around the internet and allows you to purchase the design components you’ll need in your design business for a cheaper price .. Packages this fabulous website carries are restricted in time, and that is the answer why they are so low-cost. To prevent missing the sale you’ll be pleased with – sign up for the email newsletter, showing you the newest offers. MasterBundles also has a big blog with the interesting design news and features described.